A cruise ship or cruise liner is a passenger ship used for pleasure voyages, where the voyage itself and the ship's amenities are a part of the experience, as well as the different destinations along the way. Transportation is not the prime purpose, as cruise ships operate mostly on routes that return passengers to their originating port, so the ports of call are usually in a specified region of a continent. There are even "cruises to nowhere" or "nowhere voyages" where the ship makes 2-3 night round trips without any ports of call. The distinction between ocean liners and cruise ships has blurred, particularly with respect to deployment. Differences in construction remain. 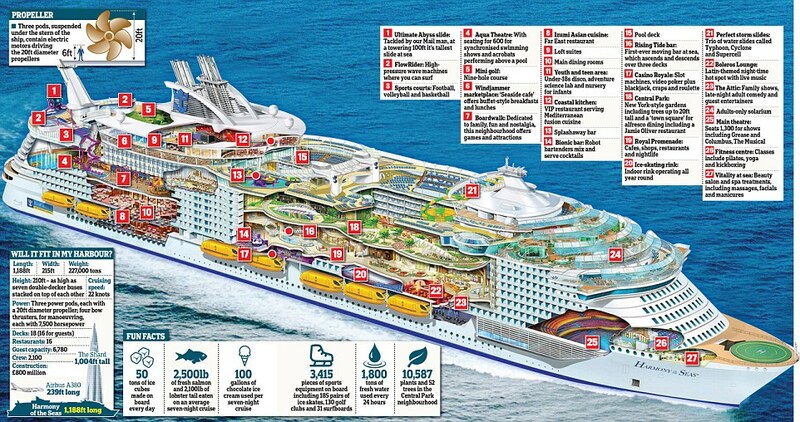 Larger cruise ships have also engaged in longer trips such as transoceanic voyages which may not return to the same port for months (longer round trips). Some former ocean liners operate as cruise ships, such as Marco Polo. This number is diminishing. The only dedicated transatlantic ocean liner in operation as a liner (as of December 2013) is the Queen Mary 2 of the Cunard fleet. She also has the amenities of contemporary cruise ships and sees significant service on cruises. Cruising has become a major part of the tourism industry, accounting for U.S.$29.4 billion with over 19 million passengers carried worldwide in 2011. 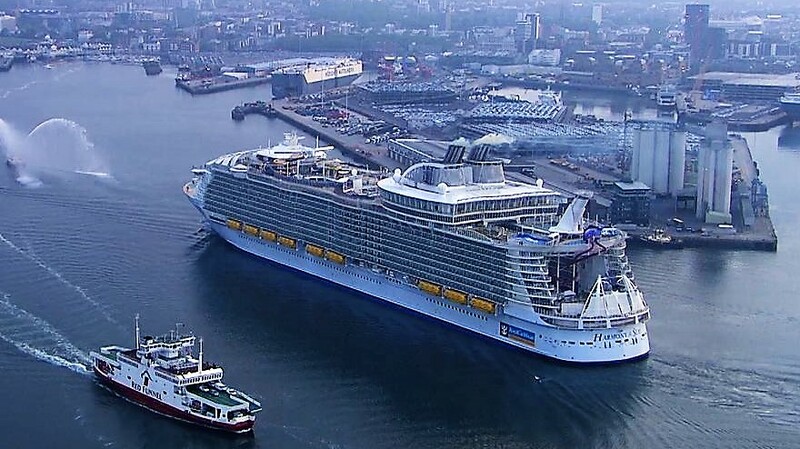 The industry's rapid growth has seen nine or more newly built ships catering to a North American clientele added every year since 2001, as well as others servicing European clientele. Smaller markets, such as the Asia-Pacific region, are generally serviced by older ships. These are displaced by new ships in the high growth areas.